The numerous benefits associated with diet tea are now well established. Not only is it proven to burn fat but it is also widely reported to have a positive effect on cardiovascular health and the immune system. In addition to fighting various illnesses and diseases, Chaoji green tea also gives the body a natural boost thus keeping you fresh and energetic for the entire day. It also plays a role in raising the metabolism and purifying the body. One of the primary benefits of diet tea is its ability to contribute to weight loss. Chaoji diet tea ensures one can lose two pounds a week with two cups a day. 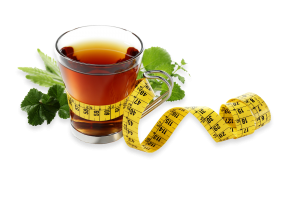 To maximise weight loss, it is advisable to consume one cup in the morning and one in the evening – in both instances, it is best to drink your diet tea at least 20-30mins before eating a meal. Diet tea plays a crucial role in raising the metabolism and removing harmful toxins from the body. It has a significant impact on soothing the internal environment of the body whilst providing numerous health benefits. Green tea also contains a high concentration of powerful antioxidants called Polyphenols. Anti-oxidants play a vital role in fighting free radicals. Free radicals are harmful compounds that damage cells and DNA causing things like aging. Anti-oxidants provide treatment at a cellular level thus protecting and improving the health of the individual in a wide variety of ways. Anti-oxidants are eliminated when brewing your diet tea in extremely hot water. This removes many of the benefits that are associated with anti-oxidants. It is wise, therefore, to let your water lie for a minute after it has boiled before adding the tea bag.